Mummy-Tips: Test drive a Hyundai and get a FREE Safari Park Experience! 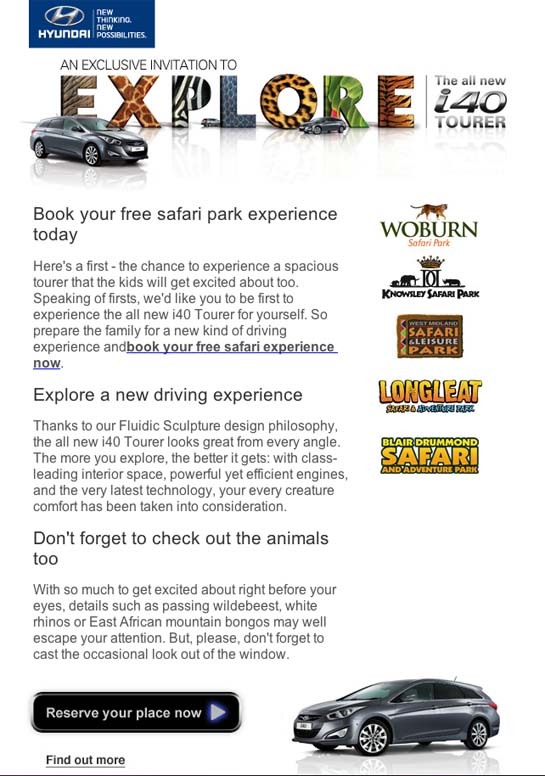 Test drive a Hyundai and get a FREE Safari Park Experience! Hyundai really embraced their involvement in CyberMummy this year and it's great to see their innovative approach to reaching out to parents isn't slowing down. I LOVE this new campaign it's a brilliant idea, that I'll be trying out for myself (I have a Mini Cabriolet, so safari parks are a no go zone). Be quick though - places are limited. You can book your Hyundai i40 Safari Experience here.